Veterans trying to decide between using their VA benefits or Medicare can use both, but only to a limited extent, according to the website Medicareinteractive.org. “You can have both Medicare and Veterans Affairs benefits,” the site states. “However, Medicare and VA benefits do not work together. Medicare does not pay for any care that you receive at a VA facility. In order for Medicare to cover your care, you must receive care at a Medicare-certified facility that works with your Medicare coverage. A lot of veterans, according to the site, use their service-related benefits for things like over-the-counter medications, annual physical exams and hearing aids. “However, you may want to consider enrolling into Medicare Part B, medical insurance, even if you have VA coverage,” the story states. “Part B may cover services you receive from Medicare-certified providers and provide you with medical coverage outside the VA health system. In addition, if you do not enroll into Part B when you are first eligible to do so, you will most likely incur a Part B premium penalty for each 12-month period you were without Medicare Part B coverage. 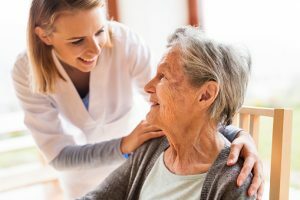 While many people approaching or in their Golden Years want to take the wise precaution of acquiring long-term care insurance, increasingly they may discover they cannot afford to do so. “With nearly 70 percent of Americans aged 65 or older expected to need long-term medical care at some point, millions of Americans have turned to long-term-care insurance to help them cover its high costs,” he wrote. “But rate hikes on long-term-care premiums are coming, meaning many of those who prudently planned for their long-term-care needs may not be able to afford to keep their coverage. Sadly, according to Caplinger, a Motley Fool contributor, these factors will probably remain in play for quite some time to come, forcing older Americans looking for long-term care insurance to settle for less than they might have wanted and still more than they cared to pay. “Some people will be able to accept less inclusive policies and still get by,” Caplinger wrote. “But given the financial realities of being retired on a limited income, a substantial portion of the people who currently have long-term-care insurance coverage may be so soured on the experience that they’ll stop paying their premiums and let their long-term-care policies go away entirely. The Affordable Care Act (ACA) is a hot topic lately, and of great concern to people of all walks of life; but people with disabilities, or who rely on government benefits to help them pay for health care and living expenses, have even more at stake in the game and more reason to be concerned. It is this population of elderly or disabled individuals who, according to this recent article in Forbes, have had to (in some states) limit their income in order to continue receiving affordable health insurance through federally funded programs. But hopefully, the ACA is about to change all that. Before the passage of the ACA many disabled persons couldn’t qualify for health insurance from private insurers, leaving public programs such as Medicaid as their only option. The problem with relying on Medicaid is that once your income reaches a certain amount you no longer qualify. For disabled persons with “pre-existing conditions,” losing Medicaid benefits while still unable to qualify for private insurance was equal to disaster, and resulted in many people self-limiting their income. If you or a loved one has a special needs trust, or would like to know how the ACA may affect your government provided health insurance or benefits, please contact our office. Will Medicare Provide for You in Your Golden Years? Fortunately, our readers can become aware of this need to be more proactive about their own healthcare, and can start planning now. How you should plan will depend greatly on your age, your current rate of saving, and many other factors. Please contact our office (or your own trusted attorney or financial planner) today. Trudy Lieberman has had plenty of experience with Medicare—of course up until now most of it was from the outside looking in. As a journalist for more than 40 years specializing in insurance, health care, health care financing and long-term care, one would think that when the time came this year for her to enter the Medicare system herself she’d be an old pro. Unfortunately, as Ms. Lieberman discovered—and shared with the readers of her exceptional five part article series in Time Magazine’s Moneyland—entering the Medicare system as a patient can be confusing for even the most knowledgeable of inside reporters. Sorting through Medicare information and choosing a plan: “Brochures and ‘lead cards’ for Medicare Advantage plans and Medigap policies began flooding my mailbox in January. This stuff can be a real burden, but some of it’s worthwhile – some even important – so you can’t just throw it all away…Hopefully, my sorting system (partly informed by decades of reporting on Medicare, partly by common sense) will make the task easier for you. Part five comes out next week, and we look forward to reading the conclusion of this helpful series. We know how confusing and time consuming dealing with Medicare can be, so it’s helpful to know that many elder law attorneys specialize in helping seniors with this very process—we can help you too. Because of their similar names, Medicare and Medicaid are often confused with one another. However, the two programs are actually quite different. While both are government-sponsored programs designed to cover health care costs, each program applies to different groups of people and has different eligibility requirements. It is important to be aware of these differences so that you can know what benefits are available to you and your loved ones. Medicare is a federal program available to anyone who is 65 or older, people of all ages who have kidney failure, or people who are permanently disabled and unable to work. There are four types of Medicare. Parts A and B (hospitalization and medical coverage) are paid through Social Security funds, while Parts C and D (supplemental insurance providing for additional coverage and prescription drug coverage) require out-of-pocket payments. On the other hand, Medicaid is a state-run program geared toward assisting low-income individuals, including those who need nursing home care, people age 65 and over, children under 19, and other people who are blind or disabled. Because Medicaid is only available to certain individuals, there are strict eligibility requirements. These requirements vary from state to state and can change on an annual basis. The services available to people receiving Medicaid also vary between the states. Nursing home patients often use Medicaid to fund the costs of their care because Medicare does not pay for long-term custodial care. Because there are complex rules and state-specific requirements for Medicaid eligibility, it is important to meet with an experienced attorney when deciding what your options are. Attorneys know what benefits are available to you and can help you determine which programs will finance the care that you need. Please don’t assume that you or your loved one is not eligible.